The Edmonton Humane Society says it has adopted new procedures after a team that was transporting animals to its shelter accidentally left three cats inside a vehicle, and they weren't discovered for 22 days. In a statement posted on Facebook, the society says the cats were dehydrated, hungry and had minor urine burns on their paws, but thankfully suffered no major injuries or illnesses. 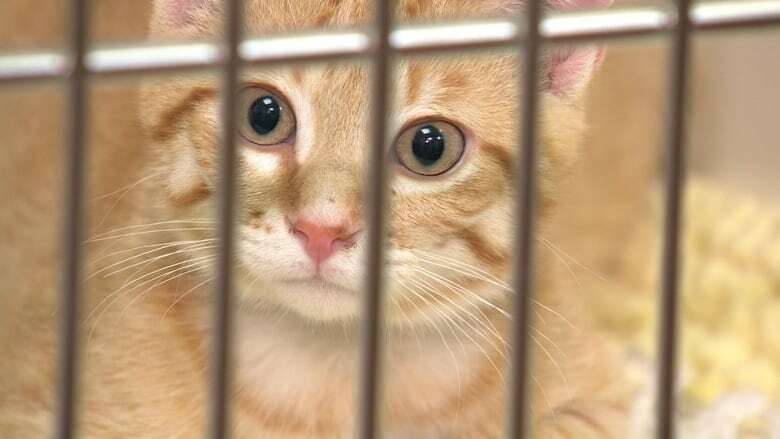 The statement says the team brought the animals to the Edmonton shelter from another agency on March 27, but that the three cats were overlooked when the vehicle was unloaded. It says they weren't discovered until April 18 when staff were preparing for another animal transfer. The society says its medical team closely monitored the cats to ensure a full recovery, and they were transferred to a partner agency when they were medically cleared. It says the cats have been adopted into new homes through the receiving agency's regular adoption process. "Following this incident, EHS conducted a full internal review of team members involved and of our internal processes and procedures to ensure that this does not happen again," the statement said. "We are incredibly grateful the cats made a full recovery." The society said in the statement that it conducted a review of the team members who were involved, as well as its internal procedures, to make sure a similar accident doesn't happen again. It says additional checks and balances have been introduced. The society said it couldn't release additional information due to "the sensitive nature of this incident and to respect the privacy of the employees involved and impacted." Despite the internal review, an animal rights group believes an independent investigation into the incident is also warranted. "It's a pretty serious conflict of interest in my view because the Edmonton Humane Society is itself tasked with investigating violations of animal protection laws," said Camille Labchuk, executive director of Animal Justice. "But in this case, they would have to investigate themselves." Labchuk said she has no doubt the humane society is committed to helping animals and regrets what happened. But, she said, there needs to be outside oversight, much like how instances of police misconduct are probed by external agencies. "There should be state agents involved in investigating and prosecuting these offences and there should be a pretty high degree of transparency and accountability."